Ooh look! She's won more awards... scroll down to the bottom of the page and all will be revealed. 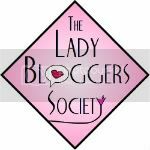 Well, it seems that more and more of you are reading this blog, or at least clicking on it to make me feel better! 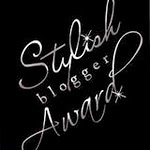 And along with the kind folks (and odd feline) who've been taking the time to leave me comments and send messages, I've been given some blog awards too. I really appreciate it, especially as I think it's a great opportunity for me to rehearse my Oscar acceptance speech. Every actor should have one ready just in case. In terms of influences I'm going for the Helena Bonham Carter school of 'lose and muddled' (which, like the bed hair look, takes a genius to perfect) and 'classy and hilarious'. This is a rather ambitious undertaking so I won't post it until it's word perfect or I win an Academy Award whichever comes first (or a Golden Globe or an Emmy. I'm not picky.) Watch this space and keep coming back. 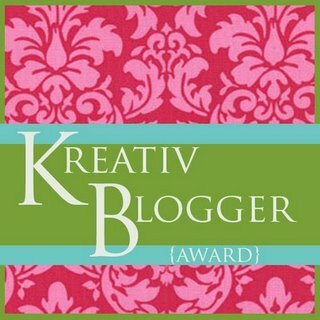 April 2011 Muriel has now very kindly awarded me (well, not me specifically as it's for my blog, but I'll take the credit if I may) the Kreative Blogger Award, which fits in very neatly with it being both versatile and stylish. 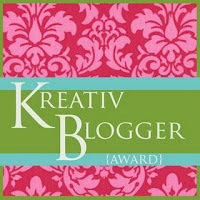 Well, now that I've won the equivalent of an Oscar, an Emmy and a Golden Globe, I'll keep on blogging and aim for a Lifetime Achievement Award - or if someone will kindly set it to music, a Grammy. In the meantime, if you haven't already please do check out Muriel's blog http://www.mumugb.blogspot.com/ which charts her slow transformation from proud Marianne (that's the symbol of France) to Honorary English Rose.